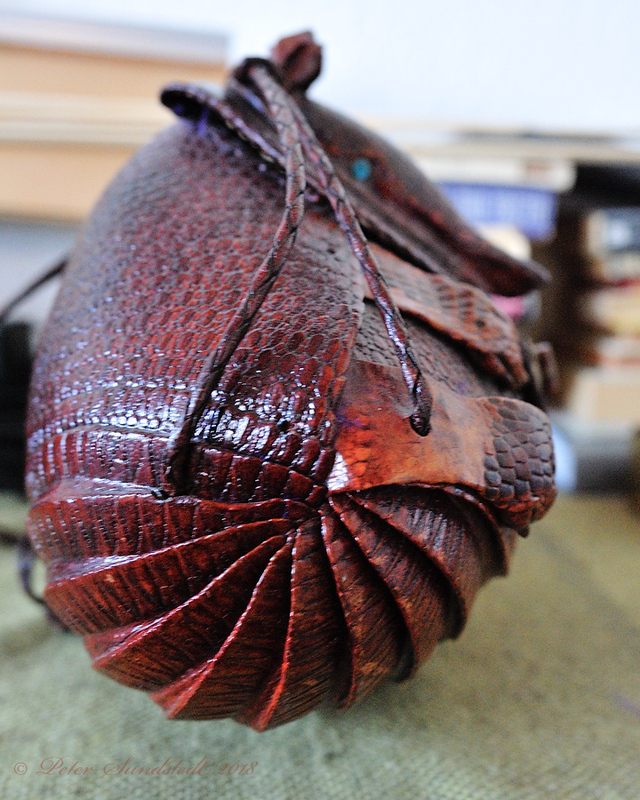 My significant other got this vintage armadillo bag for her birthday. 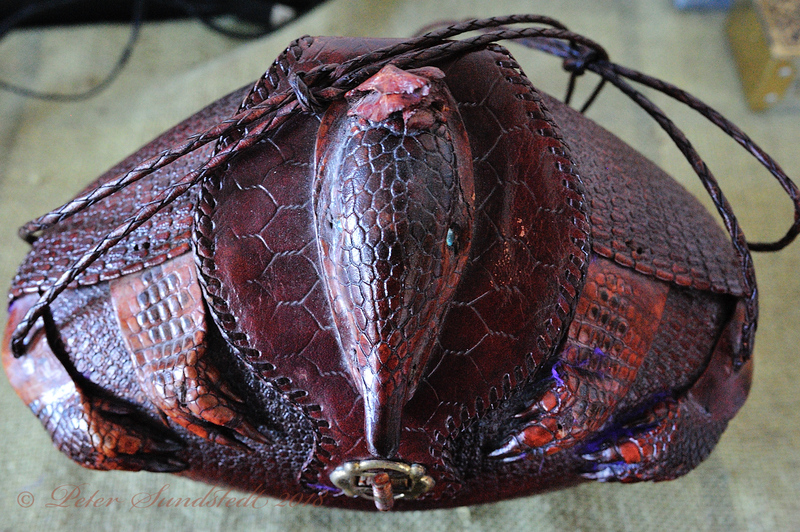 The bag is probably from the 30-s or so. The D700 still impresses with how clean it is @ISO 6400 and how easy it is to handhold at ridiculously low shutter speeds. These are shot in available light indoors @7.25 PM. Such an interesting piece! 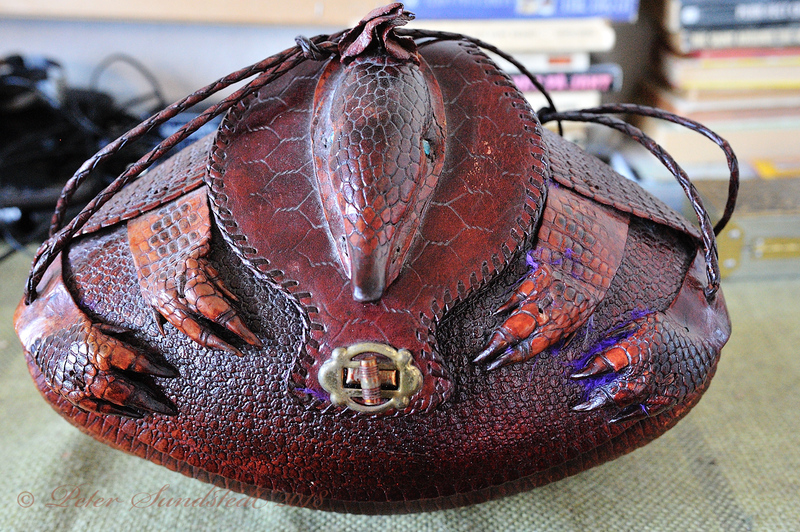 So...is it actual armadillo hide, or is it just made to look like it? I don't know. They were made both ways. By the way...6400??!! You're right--it is remarkably clean. Also, further proof that I’m right to be racist against people who are afraid of high ISO noise. It is interesting to look back on how fast the technology got better. ISO 6400 on the D700 is cleaner than ISO 160 from my first DSLR, the Kodak DCS 760 or ISO 1250 from the first full-frame cameras for Nikon lenses, the Kodak DCS Pro14n. The D700 was the king of darkness for about a year, until the D3s surpassed it in every way. These are SOOC, by the way. The only editing is the crop on the third and resizing them for the web.